The NDA's budget aims at ambitious outcomes without saying how it will achieve them. The pace at which Finance Minister Arun Jaitley began his debut Budget speech in the Lok Sabha on July 10, read in a matter-of-fact manner, almost no one expected it to go on for as long as it did. But Jaitley, barring a five-minute break, spoke for over two hours, making it one of the longest speeches in India's financial history. Being the first budget in 10 years by a non-United Progressive Alliance (UPA) government and that, too, coming from a coalition with a crushing majority in the lower house, expectations were high of a massively reformist Budget that would give the somnolent economy the jolt it badly needed. But, as it turned out, the finance minister presented a budget that was please-all and incremental in nature. The National Democratic Alliance (NDA)'s Budget for the remaining 264 days of 2014/15 was with little difference from the direction that the UPA government had set the economy on. The closest the Budget came to big bang announcements was in permitting foreign direct investment (FDI) in defence manufacturing, enhanced foreign ownership limits in insurance and real estate, and a fund to support entrepreneurs. The rest of Jaitley's speech was littered with many schemes with tiny allocations - there were as many as 29 schemes announced with Rs 100 crore support budgeted for each for them. "Things that were expected from the finance minister were a certain vision and a roadmap for India's economic growth, and social development for next five years," says Sudheendra Kulkarni of the Observer Research Foundation, Mumbai, and an ex-Bharatiya Janata Party (BJP) member. "...how he's going to get [the economy to grow at seven-eight per cent] has not been spelt out. We did not expect him in 45 days to work out all the details but this government was a government in waiting. They ought to have really worked out their vision for transforming India into a high growth with sabka vikas (everyone's development)." A resounding verdict at the general elections after a stridently negative campaign against the UPA had led to expectations of a quick turnaround budget that would help an economy whose growth rate had halved in four years. BJP leader and now Prime Minister Narendra Modi's election cry of "minimum government, maximum governance" stoked those hopes. Jaitley had a sound explanation but it was mostly brushed aside. "The steps that I will announce in this Budget are only the beginning of a journey towards a sustained growth of 7-8 per cent or above within the next three-four years along with macro-economic stabilisation that includes lower levels of inflation, lesser fiscal deficit and a manageable current account deficit. Therefore, it would not be wise to expect everything that can be done or must be done to be in the first Budget presented within forty-five days of the formation of this government," said the minister in his speech. For some, the fact that there were no dirty surprises in the Budget was itself a positive. 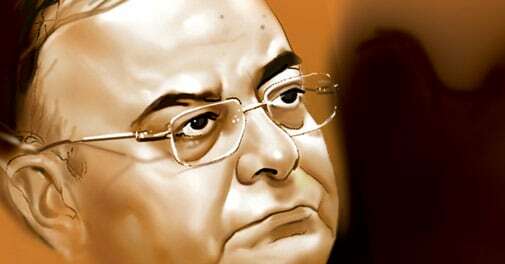 Jaitley stopped short of changing the retrospective taxation amendment made in the 2012/13 Budget by then-finance minister Pranab Mukherjee, but made reassuring noises. All fresh cases of retrospective taxation will be scrutinised by a high-level committee before initiating any action, but existing cases - a Rs 20,000 crore claim on Vodafone that is in arbitration is the most notable one - would go on to their logical conclusion, he said. Unsaid was how easily the NDA could have rescinded the Mukherjee amendment but did not want to do so for fears of being called anti-national. Tax planners and advisors say that while Jaitley's assurance on new cases is soothing for the frayed nerves of investors, there was a clear expectation of repeal of the retrospective tax amendment. Silence on that front is a tacit acceptance of the amendment, says one tax expert. "It's not that the BJP opposed retrospective taxation, so in a way it takes away from them the moral authority they have to repeal the retrospective law," says tax expert Mukesh Butani, Managing Partner, BMR Advisors. Another expert says Jaitley missed an opportunity in sending a signal to overseas investors. "The assurance that he has provided doesn't go far enough. And this is one area where he could have been a little bolder than he was but at least he did not do the damage of introducing yet another retrospective change," adds Satya Poddar, Partner at EY, formerly Ernst & Young. 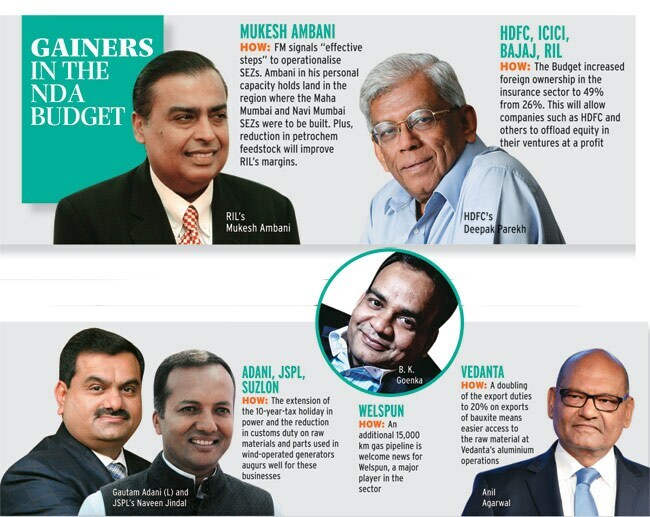 For some businessmen, Jaitley's Budget was directional in nature and made for a start. "The infrastructure sector has been almost dead for the last three to four years. 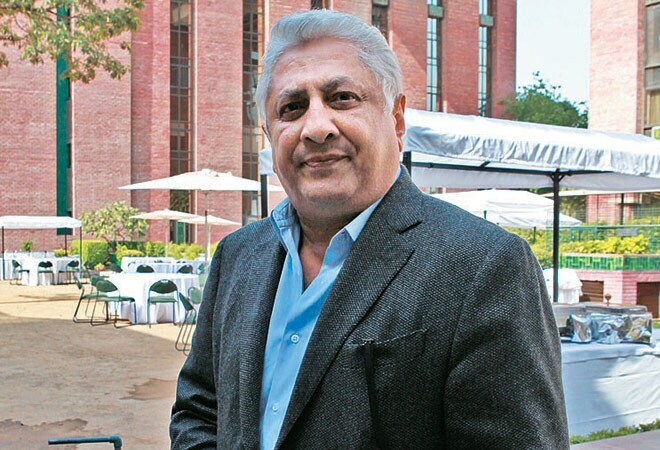 They (Modi-led government) have revived it by announcing a large spending on infrastructure, by themselves and by opening up financing avenues," says Ajit Gulabchand, who fought a losing battle against the UPA as he saw work on his dream project of a new-age city, Lavasa, come to a standstill following issues with the environment ministry. Indeed, power producers, construction businesses, and gas pipeline operators all benefit. "The Budget was very comprehensive. It touched all sectors - social and economic. "It was revisiting the NDA's election manifesto. 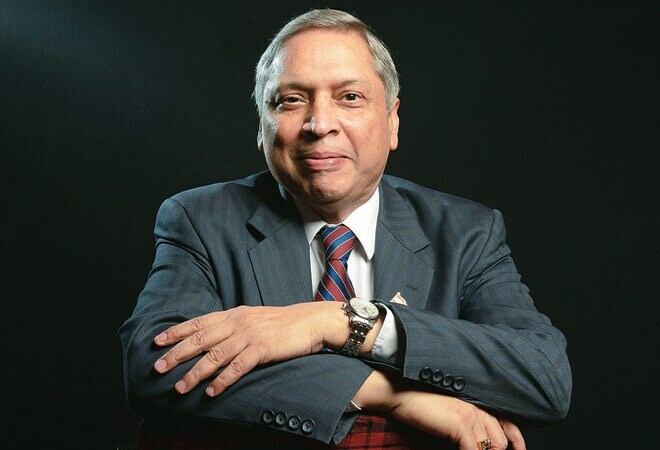 They just wanted to confirm that they haven't forgotten any sector whether it was skill building, education, building infrastructure, setting up smart cities," says Ravi Uppal, Managing Director and CEO, Jindal Steel & Power, which stands to gain from the 10-year tax holiday for power companies. Big industry, often criticised as being notoriously politically correct, almost unanimously termed the Budget as pragmatic. The best, it said, that could have been done in 45 days had been done. But on further prodding, a lack of detail in the Budget or sector-specific measures emerged as pain points. "He announced six mega parks for textiles, I wish there was more detail such as the location of the parks and the concept behind the parks was mentioned," says Naishadh Parikh, CMD of Ahmedabad's Equinox Solutions. On the fiscal front, a fiscal deficit target of 4.1 per cent is being looked on with as much as scepticism as Jaitley's predecessor Chidamabarm's fiscal math was panned in the interim budget. The NDA Budget assumes a nominal GDP growth of 13.4 per cent, up from 12.3 per cent in the last two years. Growth in gross tax revenues has been budgeted at 17.7 per cent - direct taxes at 15.7 per cent and indirect taxes at 20.2 per cent - implying a tax buoyancy (percentage increase in tax revenue for every one per cent increase in GDP) of 1.3, according to a post-budget analysis by ratings firm Crisil. This is higher than the last 10-year average of 1.0 and too optimistic considering a projected GDP growth rate in a band of 5.4 to 5.9 per cent. Also, there is a lofty projection of a jump in corporation tax to 14.6 per cent from an average 9.6 per cent in the last three years. 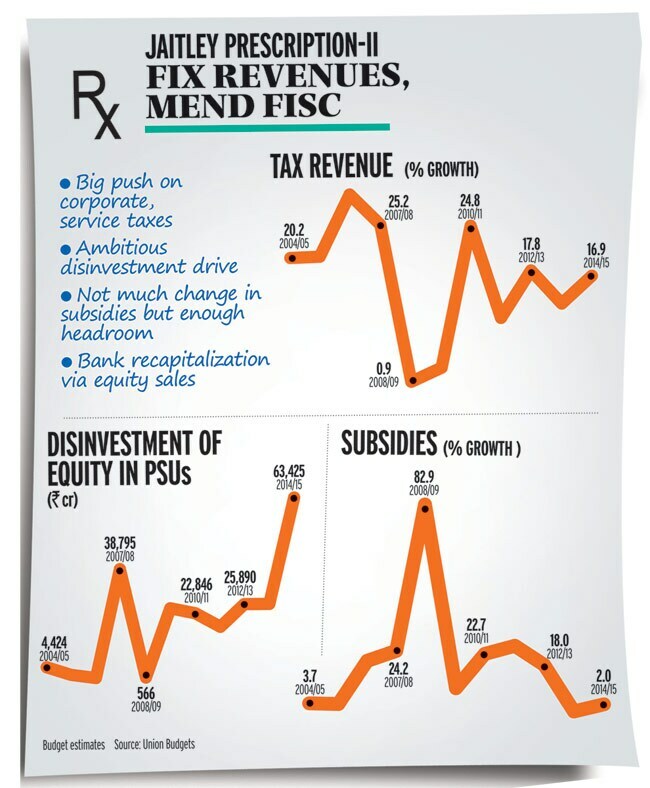 Jaitley has relied heavily on disinvestment to meet revenue goals. The disinvestment target at Rs 63,000 crore is close to the total amount raised in the last three years. It could be a challenge for the government to meet its disinvestment targets in the remaining nine months of the year. 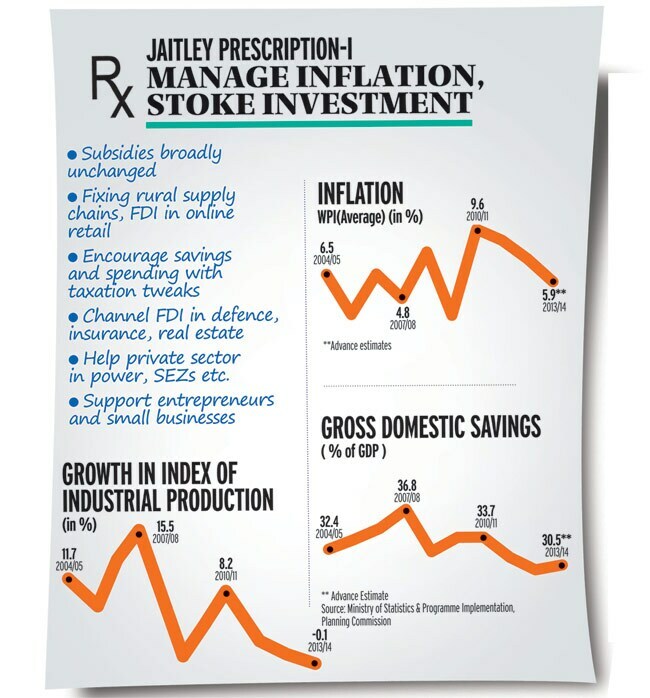 Not only is it hugely dependent on stock market buoyancy, but also the government will have to get started on disinvestment almost right away. A major reform that could have nearly pulled up the GDP by one percentage point, the Goods and Services Tax (GST), was left stated as an intent with a hope to find a solution by the end of the year. "As far as missing areas are concerned, a specific date for GST implementation would have been very welcome. He did talk about the implementation but did not announce any timeline. 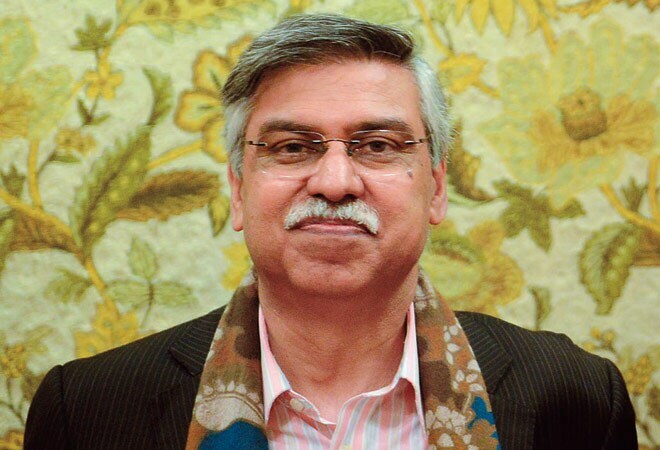 There is, of course, more to be done when he presents his next full-year budget in February," says Sunil Kant Munjal, Joint Managing Director, Hero MotoCorp, India's largest two-wheeler maker. But presenting a broad-brush budget was Jaitley's agenda in his debut Budget. He reiterated in several post-Budget interviews that his journey as finance minister has just begun. One of the economic ministers in Modi's government told Business Today that the Budget sets the tone for policies for the next three years. "To be honest, you cannot expect the growth rate to come back to a robust nine per cent before the next five years. If the FM is setting the target to reduce the fiscal deficit to three per cent, the clear indication is that the government is looking at cutting down or 'rationalising' subsidies," the minister said. "The Budget is not over-promising things. It is not leading to a situation of less delivery. All these small efforts are taking the economy in a different direction," he added. Ratings firm India Rating & Research predicts that the government will overshoot its non-plan expenditure budget. In the first two months of this fiscal year, April and May, the UPA government released several payments, which were rolled over from the last financial year. The agency in its report released after the Budget analysed that the non-plan expenditure - which includes subsidies, interests and other such payments - grew by 48.1 per cent in the first two months of the fiscal year. "So, to achieve the budgeted non-plan expenditure growth target, non-plan expenditure during the rest of 2014/15 has to grow 3.4 per cent. We believe the space available on plan expenditure is too little," the agency said in the report. Within the government there is a realisation that the Iraq oil crisis could lead to a spike in India's oil import bill of $167.6 billion in 2013/14. Currently, with US intervention and assurances from Saudi Arabia oil prices are at a manageable level of roughly $110 a barrel (which is almost equal to last year's average). However, any jump in these prices can disrupt Jaitley's calculations, as this will not only widen the current account deficit but also impact the subsidies, especially on liquefied petroleum gas (LPG), kerosene and fertilisers. Every dollar rise per barrel of crude oil, according to rough estimates, leads to an under-recovery of Rs 4,400 crore at oil firms. The rupee has been holding up against the US dollar but a change there could impact the fisc as well - a rupee depreciation against the dollar may lead to under recoveries of nearly Rs 8,000 crore. While there was no definitive move on subsidies, except linking of MGNREGA to productive asset creation and focus on direct targeting of subsidies, a point often stated by the preceding government, the government did not reverse the oil decontrol policy started by the UPA. Officials in petroleum ministry told Business Today that by end of this year diesel prices could be market driven, and along with this, the petroleum ministry is also working to correct the prices of subsidised LPG. The economic minister quoted earlier added: "The agenda for the government post budget is clear: fix the Land Acquisition Act, initiate labour reforms and bring in expenditure guidelines." The real challenge for the Modi government begins now. Jaitley will present his next Budget in about seven months, and perhaps, by then, the appetite for incremental steps taken in this Budget would be gone - also the effects of small steps taken in this Budget would be visible. The stage would be set for something big, something bold, a game-changer, not a "name-changer Budget," as Rajeev Gowda, Congress spokesman and Rajya Sabha MP put it, referring to a slew of schemes that were given names of BJP and other right-wing leaders.